Aldi power tools instead of toys! 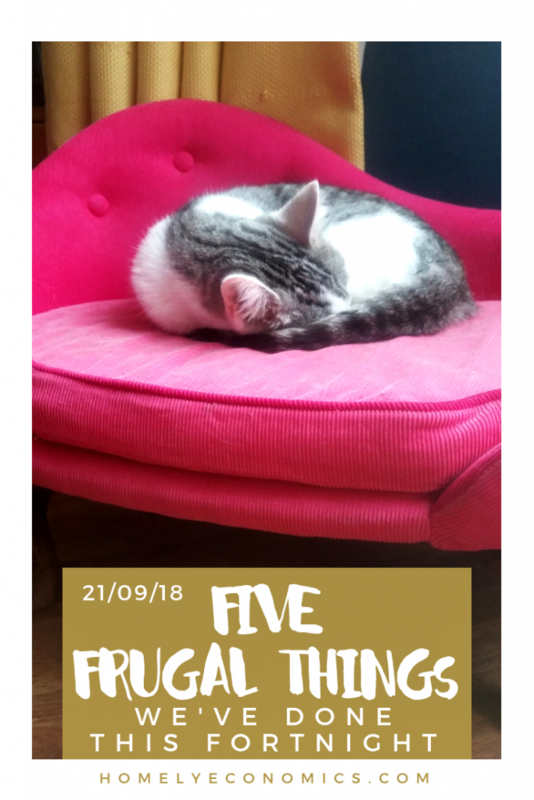 I was chuffed about this one – we managed to persuade Little Balders to write a list of useful things he could get for himself with his own pocket money (after earning quite a bit over the summer) instead of wasting it on tat and pouring it into video games. True to my word, we’re trying out some of our weird tips for staying warm in the winter, starting with bubble wrap on the lean-to ‘utility room’ windows. I sprayed some frosting spray on the windows facing the front, to minimise the weirdness of it all – pretty effective and cheap, since the spray came from the pound shop. 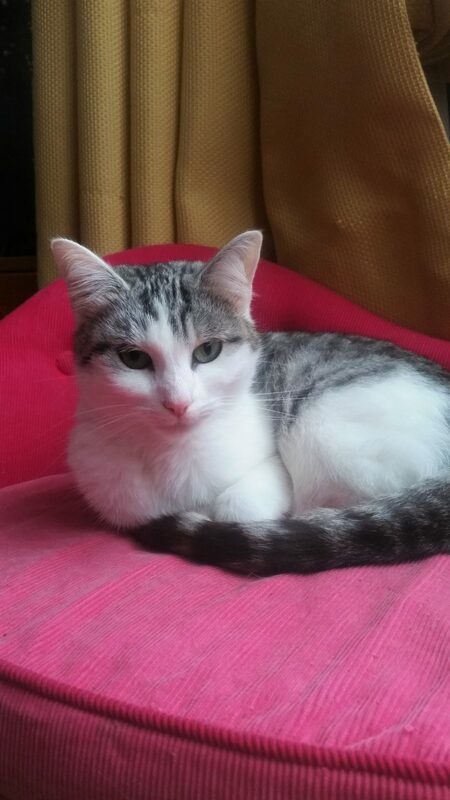 Stinky’s taken over the Lila Paws chaise longue – this would have been over £300 new! 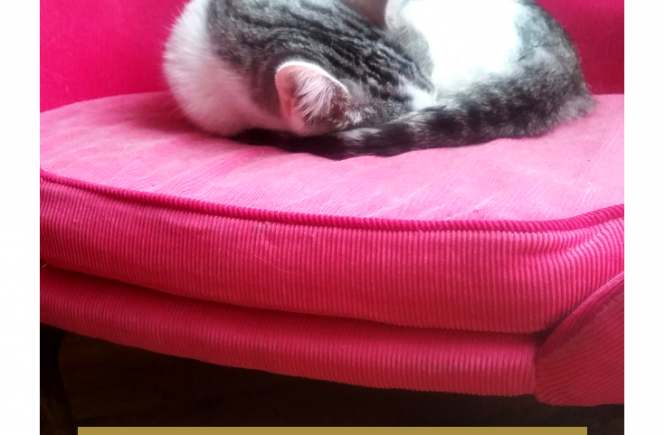 Our friend S offered us a hot-pink cat bed, and of course we said yes! Oddly, Vader won’t go near it, even though he’s usually the one to claim anything new; this time, it’s Stinky who’s claimed it for herself. It doesn’t exactly match the decor but it’s a quirky little thing that Stink seems to love, and it suits her quite well. This week we met during my lunch break and had a lovely mini-date in town at Costa, all paid for by my Curve rewards. It’s the first time I’ve used the rewards to make a purchase so that was a bit exciting. You can read my post about Curve here, or just go straight to download Curve and use promo code G68DX for your free £5. This might seem like a weird frugal thing, but in fact, we’ve saved a fair bit of money on our MOT costs this year thanks to building up a good relationship with our mechanic over the last few years. In our last neighbourhood we bounced around a few different mechanics trying to sort out a problem with our previous car, and finally ended up with a mechanic that could actually fix the problem. Since then we’ve taken our cars there, and often we arrange to do some of the smaller jobs ourselves to bring the costs down. Even after moving away, we go back there because we trust this garage and have built up a rapport with them, and when you’re practicing bangernomics, it’s a good financial move to stick to a garage you can trust. 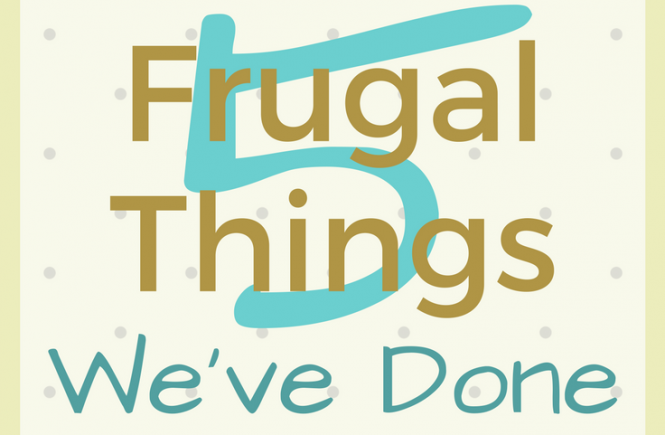 Any frugal things you’re particularly pleased with this week? Share them in the comments below! ooh i love that quirky at bad and your insulation ideas! and Aldi specialbuys are fab arent they! That cat is beautiful. I can’t believe she’s called Stinky! Himself loves Aldi power tools. I can save loads of money by keeping him away from there!!! Once he’s bought the tool, he needs a project and then we need to buy the stuff for the project and it gets expensive! For a normal person who buys tools they actually need I think they’re great! I love how your son chose power tools ha ha!